The Nokia Lumia 920 might be a bit too bulky for our taste but when it comes to those night time shots it is simply amazing, there is no denying that. However, a strange issue has plagued the handset, resulting in fuzzy daytime pictures. This stopped us from putting the Lumia 920 in the top spot of camera phones, and it turns out for a reason. Now Nokia has admitted the issue by saying that a solution in the form of PR1.1 patch will come ‘this month.’ Engadget got their hands on images from an updated handset before release and you can take a look at how much better they look right below. The update should be here this or next week given that we’re already halfway into December. PR1.1 is expected to be mostly about fixing the fuzzy image issue. While optical stabilization worked flawlessly on the Lumia 920, there was an apparent lack of detail in pictures. Apart from that, Nokia will allegedly bring stability improvements and LTE connectivity fixes. I believe you Nokia...:) Some people can stop whinning now...PA included!! No, it's a Smooth Criminal. LOL.. Smooth criminal. Between nokia knows how to take care of their beloved customers.. :) cheers..! i wish. that there will be custom UI like how android has. the tile interface may find us intuative at start but it becomes boring as days pass. No one complained about the UI with Symbian 60s...i don't have any reason to complain about WP8 either. It will look boring for those who want to migrate from Android, but atleast it's consistent. I agree its a bit boring, but this is the stage you have to pass through and after that you don't care about customization and use the phone only when its required. customization is an abyss the deeper you get into more time cunsuming it becomes and the urge never satisfy. ( I had been through this) My thoughts are customize your device according to your usage and leave it for a long time, you will be free from this syndrome and saves a lot of time. Just my thoughts no offence to anyone who loves it. it may be look boring to you as the days pass (assuming you came or using an android). but then again, if you don't like these tile/live tiles UI, you have a choice. stick to your android device. period. Nokia, you should improve the color of these pictures also, not only the detail. Agreed, it lacks the vividness of a photograph!! All products usually have a problem or two. As long as the manufacturer acknowledges it I'm happy. iPhone users: My photos have a purple haze on them, Apple please fix it! Apple: This is normal. You're not holding your phone in the right way to take the photo! Lumia users: My photos are with low detail Nokia: We're working on a uptade to solve the problem! The purple haze is a problem with every smartphone camera... including my Note II. But I see the point you are getting at and it is completely true... Nokia are the hands down the best when it comes to supporting their devices. 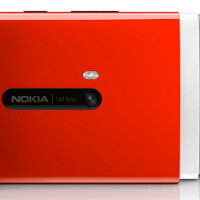 Unless Nokia releases the L940. Then the attention shifts to the L940. I dueled with the iPhone 5 and blasted it out of the water. All my coworkers with iPhones agreed!!!!!!!!!!!! I believe in my own test and not these tech blog sites. Again, MY COWORKERS WITH IPHONES AGEED! The Lumia had better photos. With this update, it will be better. There can only be one king of camera phones, N O K I A! And I shake my head Samsung GS3 nominated for one of best camera phones on PA. Haven't seen one site or YouTube video touting its awesomeness since its launch. How do you people get away with this? Over-sharpening and too much color saturation... what about that ? I will say it again and again.. Nokia is a Monster on producing phones.